Until I started writing this post I honestly didn't realize HOW MANY awards this film received, and it definitely deserved all of them. I LOVE this film. 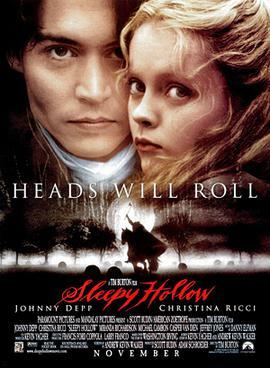 I watched it when it came out because of Johnny Depp and Tim Burton (my favorite combination)! I still watch it every year around this time, and I can't say that I enjoy it any less with all the times I've seen it. It's a great annual Halloween movie, and if you haven't seen it, this year is the perfect year to do so.